Home The Dimplex MicroStove - Small but perfectly formed! Compact yet powerful, the freestanding cast iron-style MicroStove measures just 42cm tall but packs an impressive punch with a 1.2kW heat output. 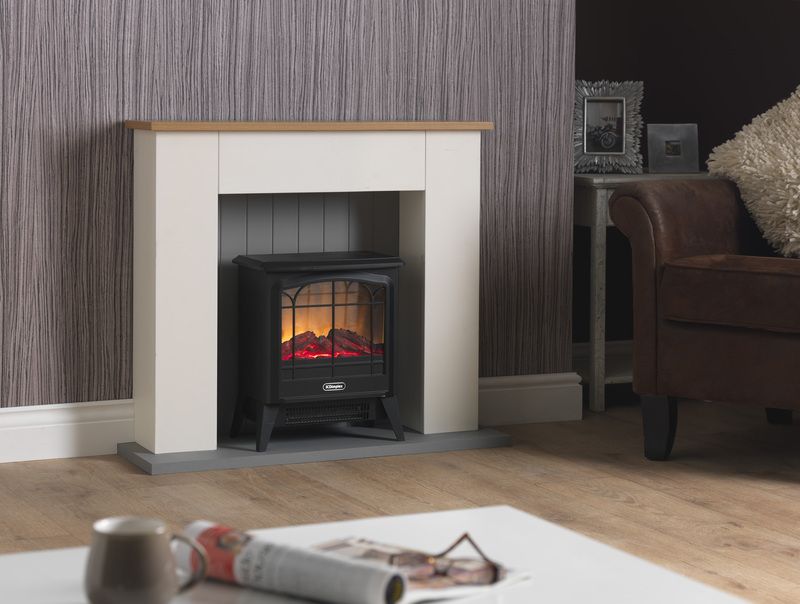 Its log-effect fuel bed is designed to replicate a traditional woodburning stove – but as it is electric, you can enjoy instant heat at the flick of a switch. With two heat settings, the lightweight MicroStove can easily be unplugged and moved from room to room to suit your needs. Its compact design means it can fit neatly practically anywhere, and is especially ideal for use where space is limited. Or, if you want to make a new focal point in your living room, Dimplex also offers a MicroStove Suite; a contemporary ready-assembled suite featuring the MicroStove Optiflame electric stove. Measuring 753mm high by 860mm wide, this modern fire surround perfectly frames the MicroStove and will instantly add that homely feel. To keep your home feeling cosy, the MicroStove features Dimplex’s Optiflame technology, the world’s most popular electric flame effect, which can be used independently of heat. Simply plug in and relax!